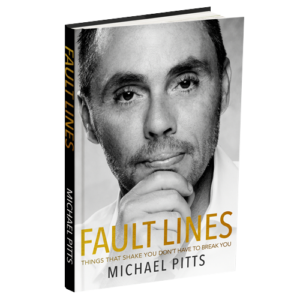 Fault lines are the unstable beliefs and values we build our lives on. When we find our value system shifting and the ground beneath us shaking, the unsettling feeling that what we were pursuing is not what we are now pursuing produces a chasm between what we once thought and what we now think. You cannot avoid the shifts of life, but you can survive and emerge stronger.